During the American Civil War, Cavalry Officer leads his battalion in a final battle for Dixie. 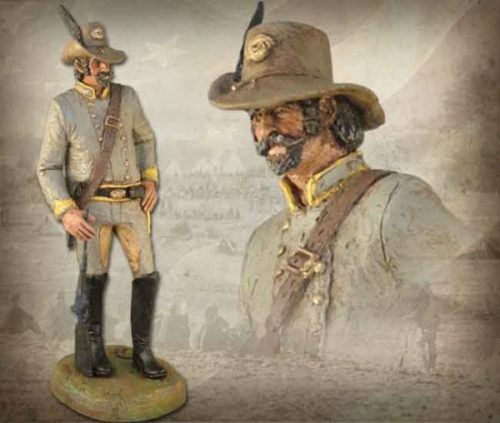 After a 5 year hiatus, Michael Garman began sculpting again in 2015 – completing many of his historical series with pieces he had longed to sculpt for decades. 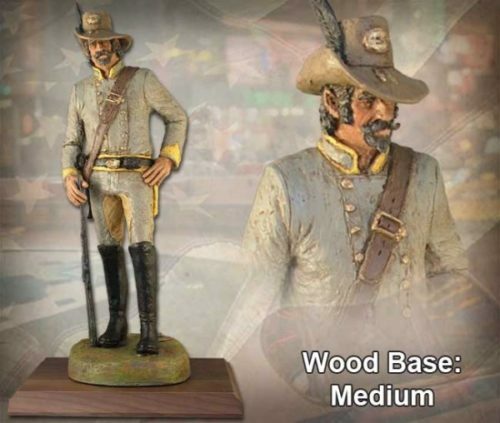 Cavalry Officer is one of these pieces, depicting a complex time in American history with intricate attention to detail. 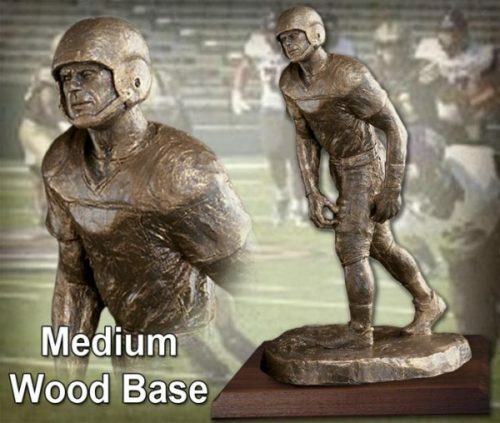 Sculpture measures 15.5″ tall x 5″ wide x 5.75″ deep. ©2016. Handpainted finish. #MG679.